ETSAV Universitat Politècnica de Catalunya Team has been selected to participate in the upcoming Solar Decathlon Europe 2019, coorganized with the Energy Endeavor Foundation. Along with ETSAV, other fifteen international schools of architecture will go tête-à-tête in the competition, set for July 2019. 20 december 2017_ The organizers of the international competition have announced that ETSAV — on behalf of Universitat Politècnica de Catalunya — has been selected, with 15 other teams, to participate in the Solar Decathlon Europe competition 2019, which will take place in Szentendre, Hungary. This notice is also a special acknowledgment to the students and faculties who have elaborated the candidature. The whole community wishes to congratulate them as the organizers did. The Solar Decathlon was first launched in 2000 in the USA as a challenge to university teams to design, build & operate highly energy-efficient & solar-powered homes. In this SDE19 ETSAV will compete with two teams from Spain (Seville and Valencia), Italy (Politecnico di Milano, winner of the 2014 edition), the United Kingdom, Romania, Hungary, Holland, Denmark, Belgium, Greece, France, United States and Thailand. 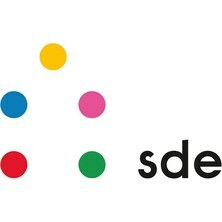 ETSAV has already participated in the SDE three times. The RESSÒ prototype built for SDE14 in Versailles, Paris, was awarded with the 1st ARCHITECTURE PRIZE, the 1st INNOVATION PRIZE and the 3rd URBANISM PRIZE. The Living Lab Low3 prototype built in Madrid for the SDE10 was awarded with the 1st ex-aequo ARCHITECTURE PRIZE. The joint EEF_SDE19 Selection Committee is delighted to announce that Universitat Politècnica de Catalunya team has been selected to participate in the upcoming Solar Decathlon Europe, set for July 2019, in Szentendre, Hungary. After careful evaluation of your full application submitted on 16 November 2017, the expert Jury members of the Selection Committee unanimously supported your proposal and awarded it a very high overall score. Well done! The jury procedure was detailed in scope, including a compliance check, preliminary scoring and final full assessments. These steps help to maintain the standards, calibre and rigour of the SDE mandate. The Energy Endeavour Foundation and the SDE19 Organisation look forward to a fruitful collaboration with the selected teams, sharing the objective of an intrepid, responsible and successful edition of the Solar Decathlon in Europe. We wish to thank you for your thorough and winning proposal, for your continued professionalism, inspiring goals and ambitions for what promises to be a formidable international event. Congratulations!